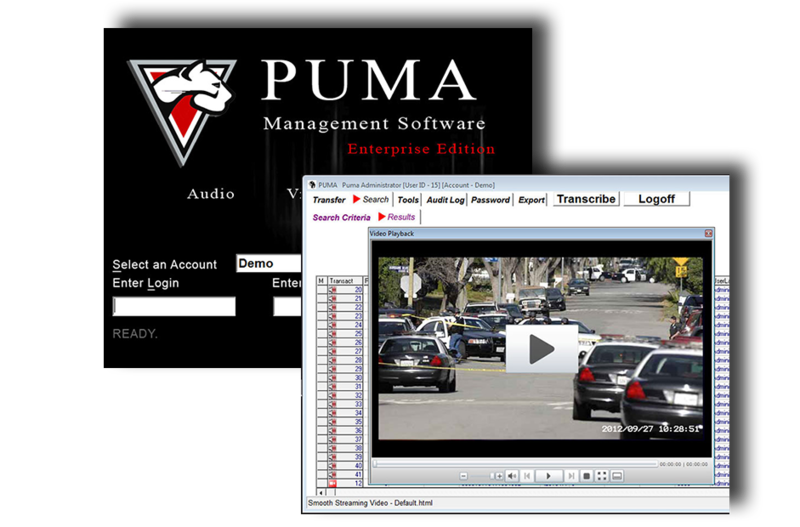 The PUMA Management Software provides a powerful, secure, and easy-to-use digital evidence management system for the storage, retrieval and management of digital audio recordings, digital photos and digital video files. Key to the success of PUMA is its ability to provide officers an easy platform to upload their digital files, add file information such as case number, subject name, or notes, and store the content securely. With various search options, files can be easily retrieved for playback or exported to CD/DVD. The PUMA Management Software is scalable; offering add-on modules that address the specific needs of your department and the best and most cost effective storage solution for your agency. The PUMA Management Software delivers an integrated network-based solution for your entire organization. With PUMA, digital evidence files are managed by a centrally located repository, providing easy access to your digital evidence, 24 hours a day, 7 days a week and 365 days a year. 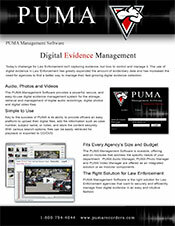 With PUMA, your department will capitalize on a cost-effective, secure, onsite digital evidence solution. With departments having different access/security concerns, PUMA has designed multiple levels of security and access rights based on agency-defined security roles. PUMA also includes technical security measures to prevent unauthorized access to data such as file and password encryption (256 bit). 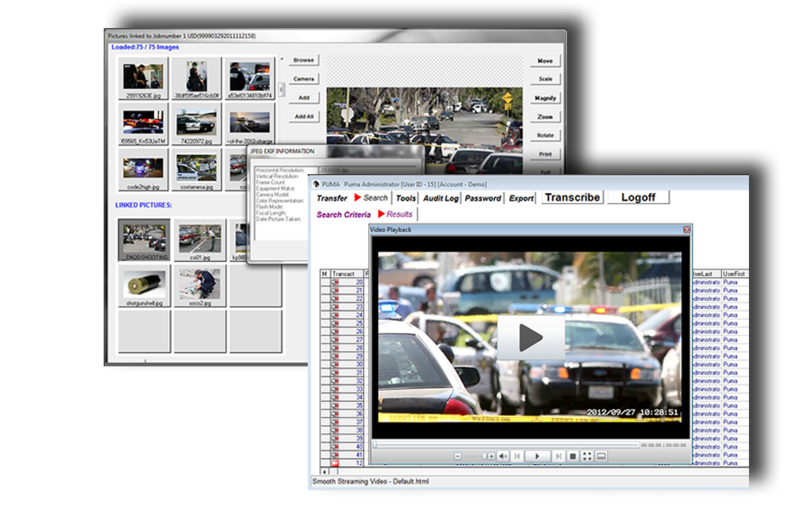 Digital Evidence management is critical to the outcome of criminal prosecutions. The PUMA Management Software provides a secure chain of custody for the management, administration and handling of digital evidence. Simplicity is key to the success of PUMA Management Software. By using the same simple and intuitive user-interface to manage all digital files, your department will save time, money and increase officer productivity. Search and retrieval has never been easier. With PUMA’s simple search interface, officers, detectives and/or administrators have quick and easy access to the digital evidence they need.